Last week I was thrilled to find out that I had been nominated for The Irish Magazine Awards, Photographer of the year prize. The awards ceremony was held at The Four Seasons Hotel in Dublin and I was delighted to be invited along by Richard Power, MD of Image publications. 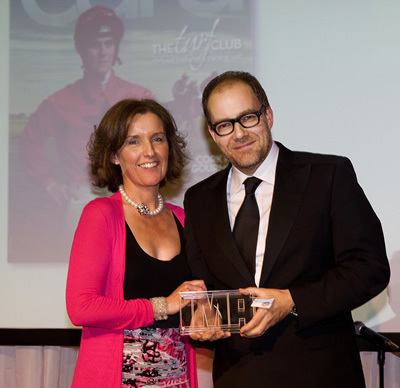 The award was presented by Grace Aungier and was for the feature we did for CARA on the racing industry in Ireland. Here's my original post on this shoot.